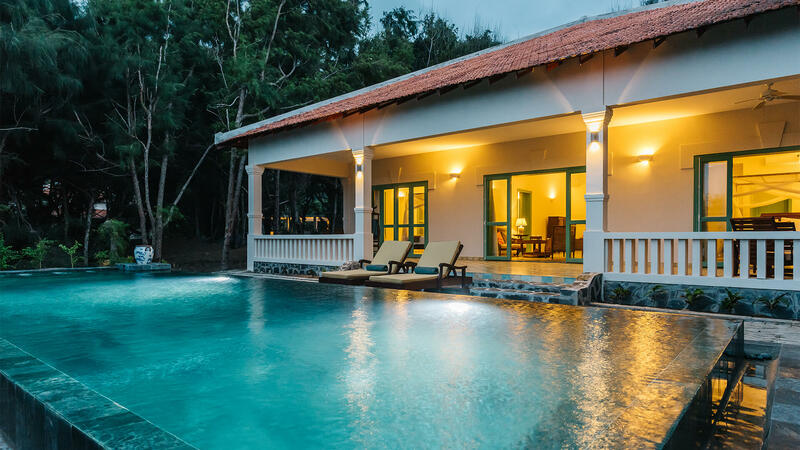 The 2 bedroom villas are ideal for those looking for the ultimate experience and are suitable for families or small groups of friends with a capacity of up to 6 persons. The villas nestled in the natural trees offers the partial ocean view and a few steps access to the beach. Individual bathroom for each bedroom with large bathtub, outdoor rain shower, separated toilets. One with double vanity basin and large dressing cupboard. Small kitchen pantry in villa dining.